I think it's safe to say that at least 75% of my shoes come from the Nordstrom Half Yearly sales. It's the best time to get brand new styles for a MAJ discount. After trying on buying quite a few, I will give you a little review of some of my favorites. 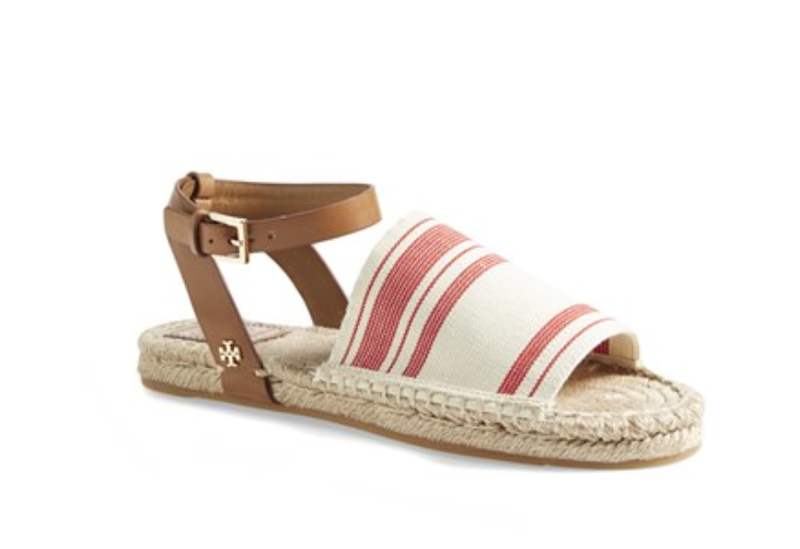 First up, this super comfy sandal by one of my favorite designers, Joie. You will need to go up an entire size on these. I am a very true 7.5, but I needed to buy the 8.5 on this one. Seriously, these feel like slippers. There is a pale blue I loved too, as well as white, but thought this was fun for a little summer color. I was on the search for an espadrille but everything I tried on felt a little suffocating. That is, until I found this one! When I saw it was Tory Burch I quickly jumped to the conclusion that they would be out of my spending zone. But for the sale price of $90 I had no choice, I had to get them. This is the perfect day to night shoe, when you want a little extra punch to your outfit but you aren't in the mood for a wedge. Happy Shopping. And PS - The sale ends on the 31st so don't dawdle, ladies. As mentioned a few days ago, it's the Nordstrom Half Yearly sale. When most stores have sales this big, it's to clearance out the past season. Not Nordstrom. Hundreds and hundreds of brand new styles. 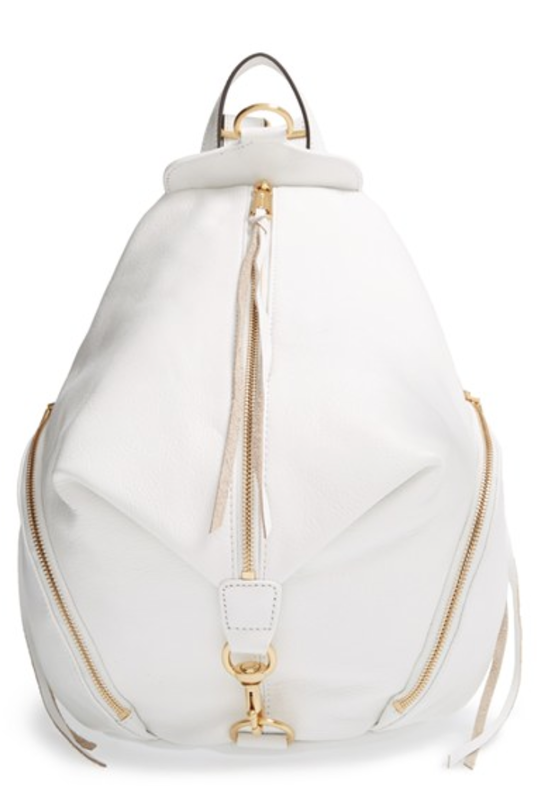 Today is a little roundup of our favorite bags featured in the sale. 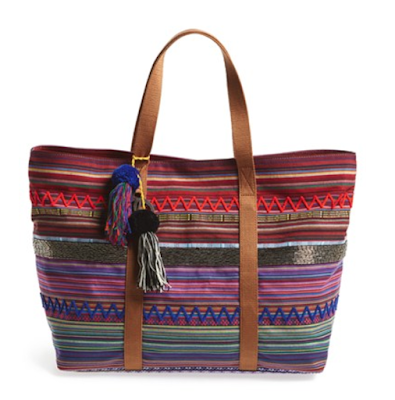 First up, the Sam Edelman Tote. I have this tote and it's the perfect size. It's small enough to carry as a daily handbag yet large enough to throw all of my "stuff" in it when I am running out the door. Next up, MY FAVORITE GROWN UP BACKPACK IS ON SALE! I am obsessed with the slouchy boyfriend jean, a good tee and a backpack kind-of-look. This is the ticket. I have had my eye on this Rebecca Minkoff backpack, but at $300, it felt kind of steep considering it's just not an everyday look. However, at half off, it's looking just right. 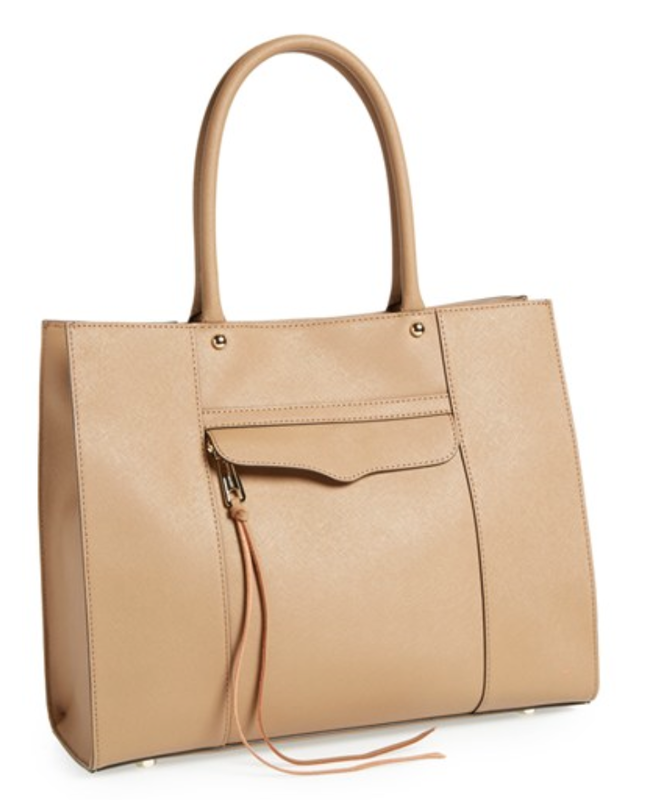 If you don't have a great neutral tote bag, you are missing out. 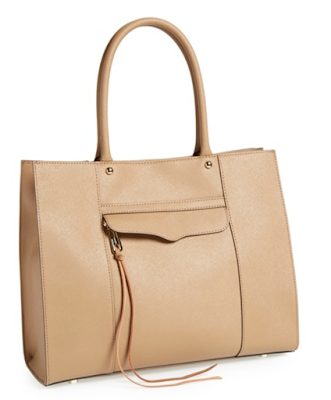 It will go with every look, every shoe, and you may never want a black or brown bag again. Seriously. This tote is an awesome option, well made, great designer and fantastic price. To top it off, it does fit over the shoulder, which is always a plus in my book. So, it's the most wonderful time of the year...at least at Nordstrom it is. This sale is NOT.TO.BE.BEAT ladies. We will highlight the AC office top picks this week, starting with what is currently in my cart. And yes, I do know that I need to whittle this down - or do I?